Elan is such a simple word that describes a wonderful, rich energy. The saying that good things comes in small packages is incredibly apt with elan (also spelled as élan.). A quaintrelle always has a certain sort of elan, and really I do believe that most people could cultivate their own elan charm if they so wished to. I am in love with the entire idea of elan – as a word, a characteristic, and as a delectable descriptive term! 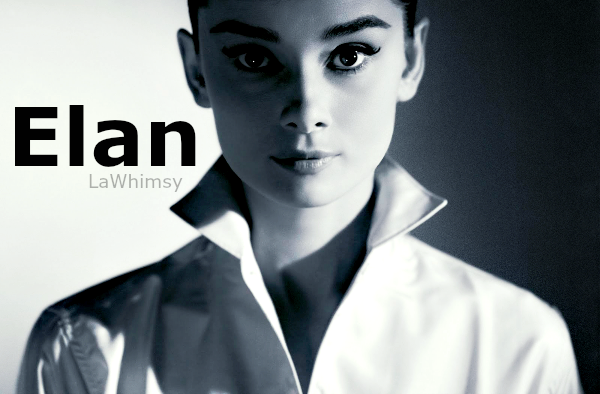 I had to use images of the absolutely divine Audrey Hepburn since she most certainly embodied elan in the very best sort of ways! Her distinct style, flair, and liveliness were, and still are, as elan as can be, don’t you think so?